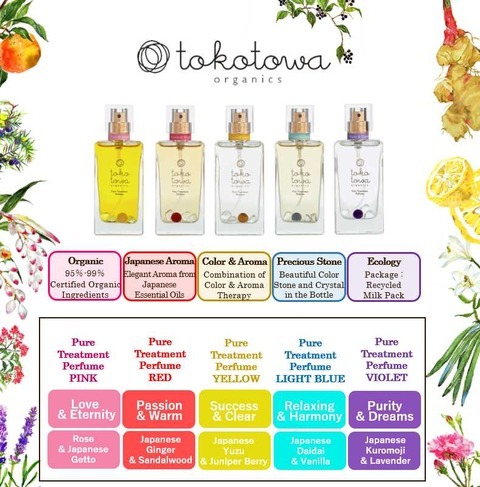 tokotowa organics, a gift from mother nature, having five colors, fragrances, and messages to fit the individual beauty and well-being. 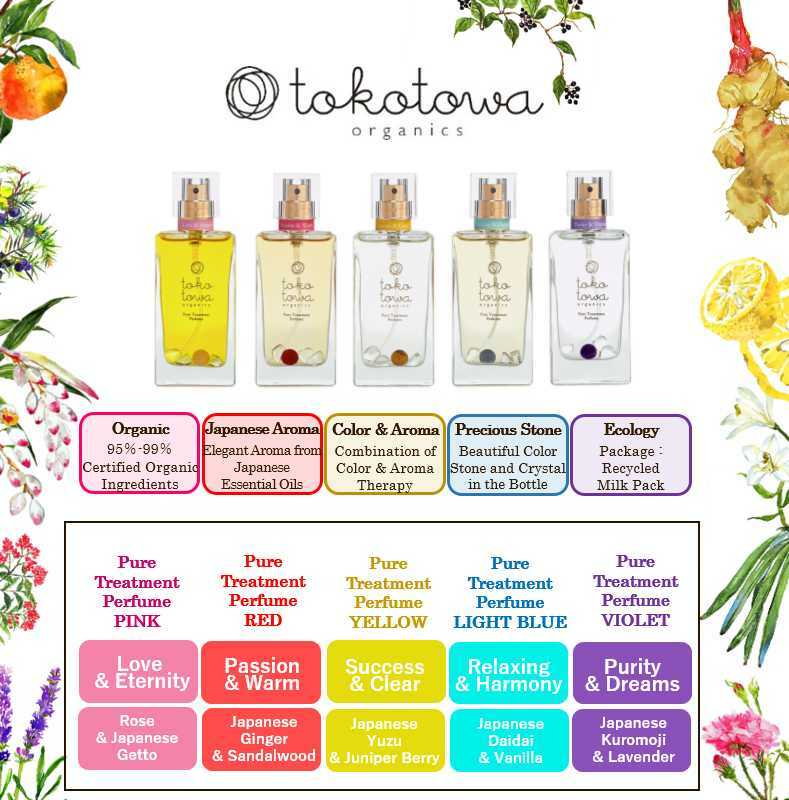 Their scent is fresh and tender like Japanese women, by using Japanese essential oil and organic essentia oil. We sometimes have overseas customers who like Japanese Perfume, Organic Perfume, and made in Japan products, and are showing following store POP for them to understand our brand and products better. If you are interested in our brand and products, and have any questions, please do not hesitate to CONTACT US. Please check our official site.